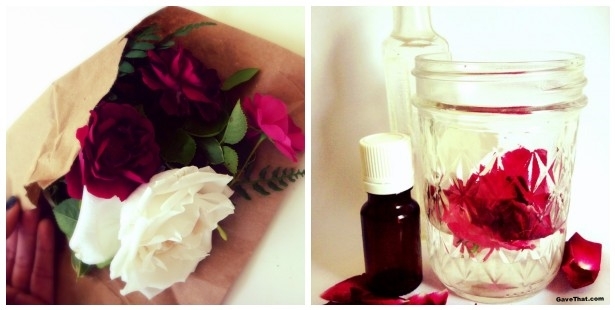 Place rose petals into a glass jar and cover with alcohol. Cover with a tightly closing lid and allow to sit for at least 1 week. The rose petals will lose their color and the liquid will take on a slight blush or golden color depending on the color of flowers used. Remove petals and strain liquid through a strainer or coffee filter into a another clean glass jar. Add in rose water one drop at a time. This may cause your perfume liquid to become cloudy which is normal and perfectly fine. 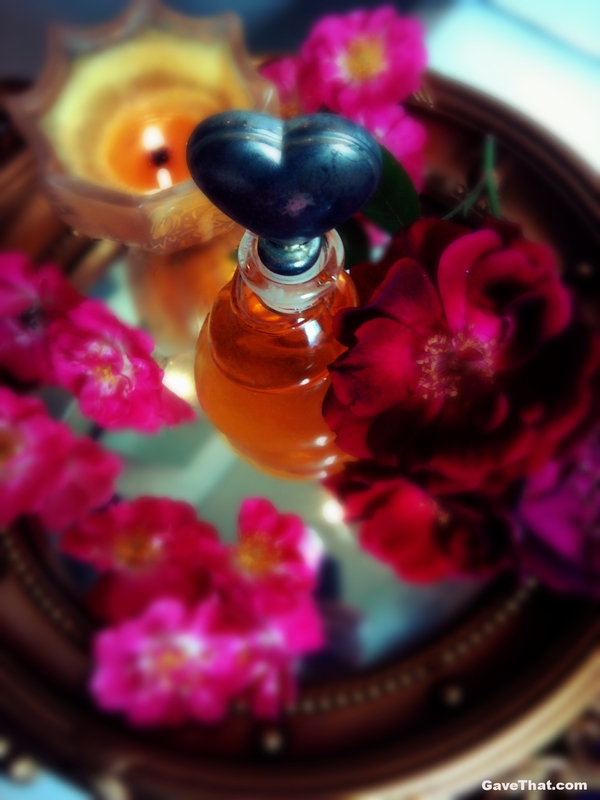 The rose water helps to cut the smell of alcohol and also adds another layer of rose fragrance to the finished perfume. Being completely natural, the finished liquid is best kept in an opaque bottles &/or in the refrigerator as opposed to on display. 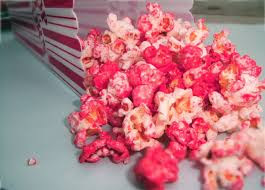 Finish by adding essential oils &/or extracts and cover once again with a tightly closing lid. Allow to mature for at least 2 weeks to 2 months before using. Once matured, decant into a perfume bottle and, if possible, keep refrigerated. The neroli adds a hint of fresh citrus and white florals which gives way to the earthy, subtle rose and a sweet vanilla forming the base. A simple top, middle and base note combination that supports the rose in a Turkish Delight (Loukhoum) sort of way. The virgin queen Elizabeth is said to have had something similar created for herself only using sugar water in place of rosewater. 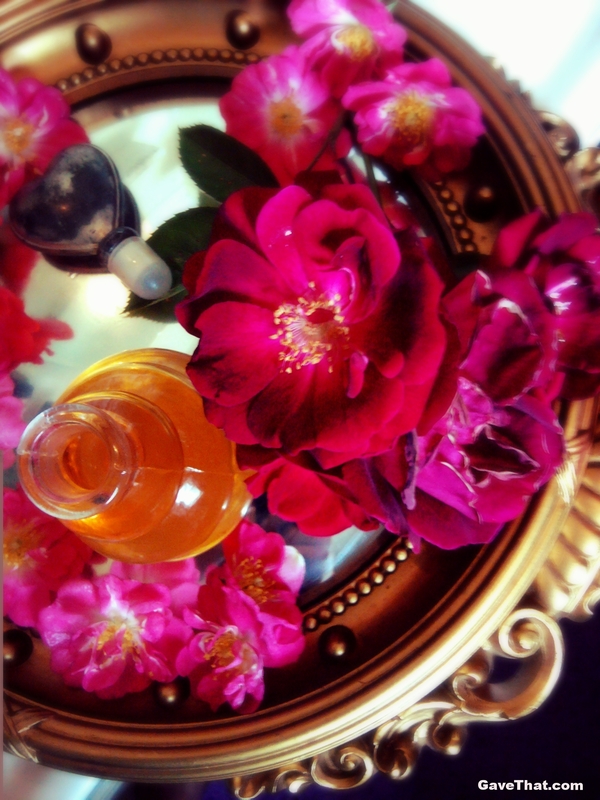 Even back then, and later on, royalty lamented the rarity and cost of a good rose perfume. To enhance the scent even further definitely try a drop or two of pure Bulgarian rose essential oil. A tiny bottle is pricey but the results can be magical.